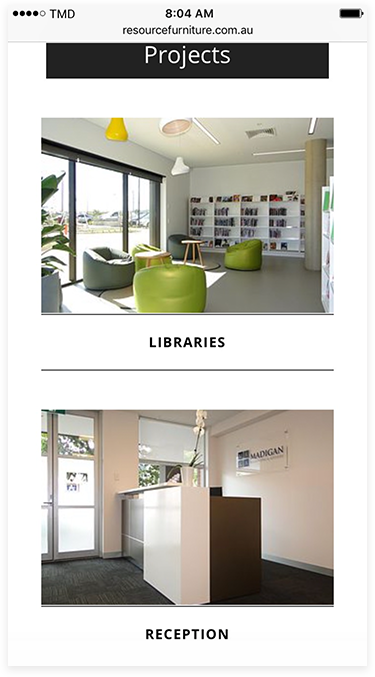 Resource Furniture is Australia’s leader in library furniture and school furniture fit outs. They needed a website that lived up to that title and reflected the quality of their products. 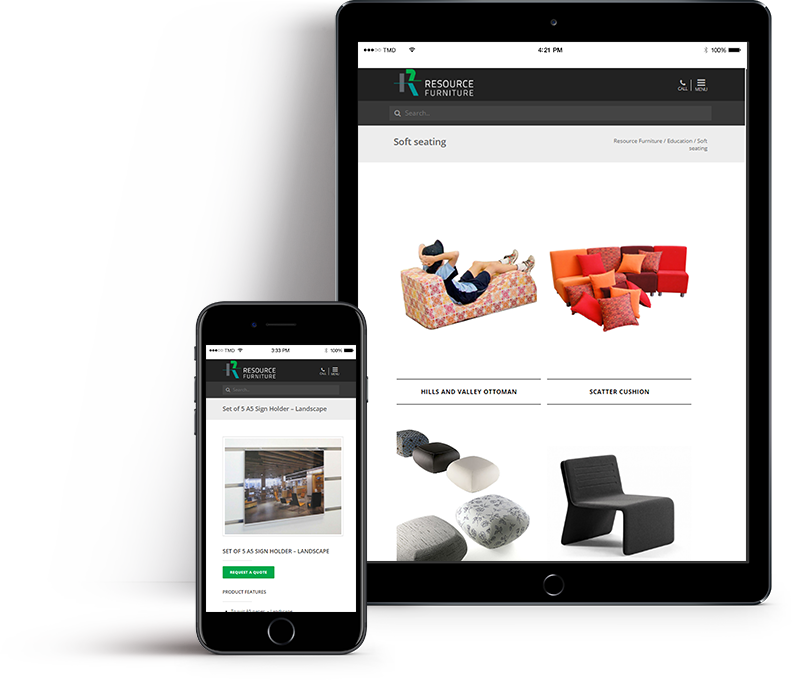 We worked with Resource Furniture to develop a fully responsive WordPress website to feature their impressive product catalog, previous work, high quality images and downloadable files. 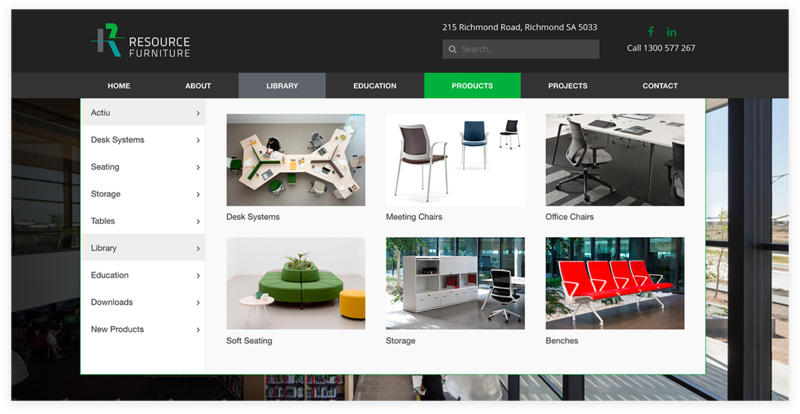 We worked closely with the design team at Resource Furniture to identify the most important and valuable keywords that are being searched for by their potential customers. 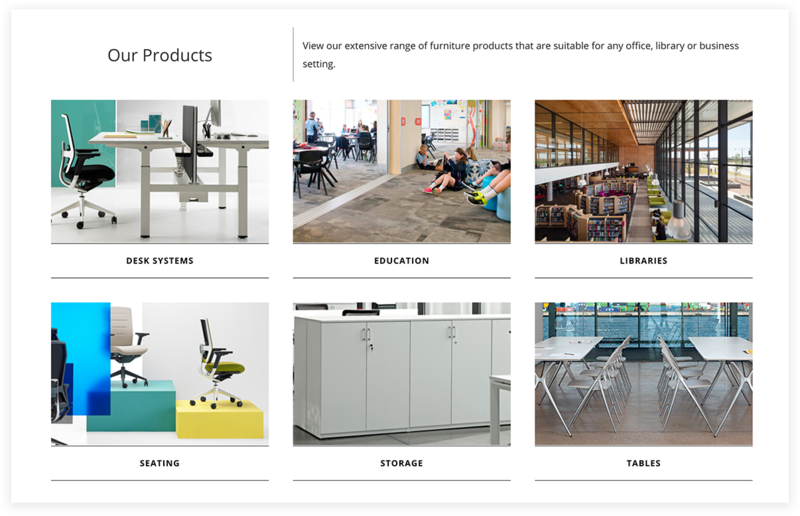 By optimising the relevant product and category pages for their target keywords, Resource Furniture has been able to drive more traffic to their website from search results, and reach new markets like ‘office fit outs’ and ‘library design consulting’. 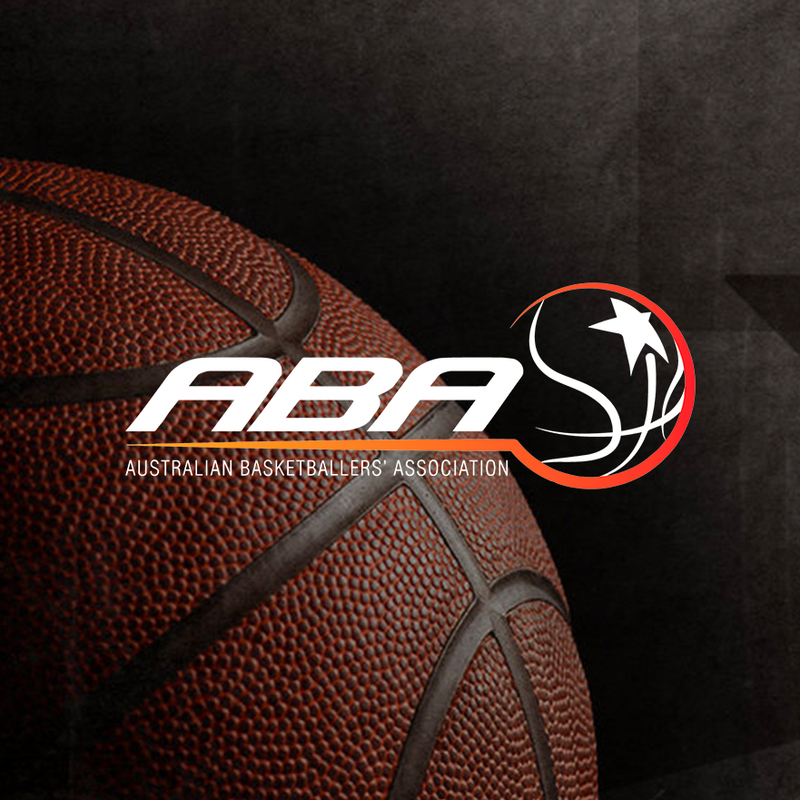 The result has been a 250% increase in sales from the Internet since the website launch. It was extremely important that users be able to navigate and find the products they were looking for on mobile and tablet devices. 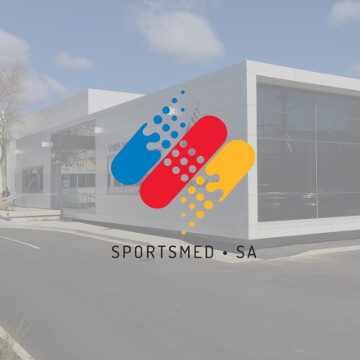 Each page has been coded to ensure it is easy to use on every device, with a easy to use pop up box for requesting a quote accessible on each product page. 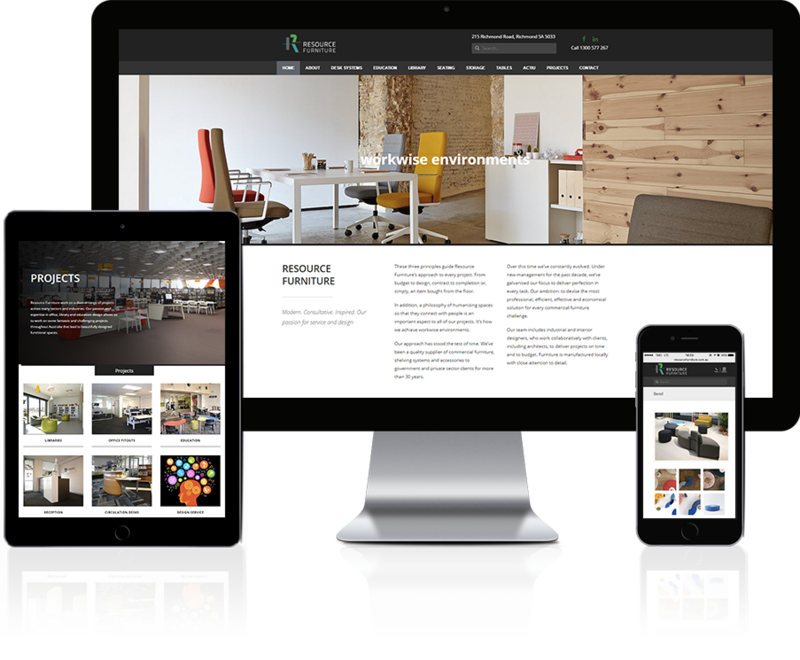 One of our primary aims was to display Resource Furniture’s incredible range of stock in a visual way that was intuitive on both desktop and mobile. 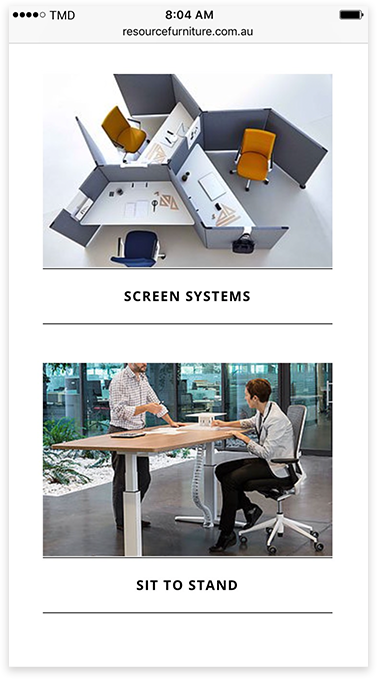 We opted for visual navigation, and large images throughout the site to illustrate the quality of furniture that Resource is selling. Our website design and development team has been building websites that rank well in search engines, and generate tonnes of traffic from Google. If you’d like to get the same results as Resource Furniture, then give us a call!